Nicko had a website but needed a re-design, was limited with time he could spend responding to clients and inquiries on social platforms while providing face-to-face customer service and responding to orders coming in online. We listened to his needs and provided feedback on what we could do as a team with him. For us it was more important for him to focus on his frontline were each and every customer interacts with his team either via delivery or visiting the food truck that has been in the same spot since 1971. Our strategy was simple. Let's take care of Uncle Gussys online presence. This includes from managing his social platforms, helping him create content for the blog, and also making sure the online delivery systems are all in sync. All this so every interaction either offline or online would match the high-quality standard Nicko, Franky, and the rest of the Uncle Gussys team has set. We serve our clients and partners and focus on their needs and priorities. Although projects are different, the main reason you would hire us would be to improve results and add value to your company. See how we added value and infrastructure to Uncle Gussy’s Food Truck. The latest version of Uncle Gussys highlights the Menu, Online Ordering System, and our catering services. We also created an area where Uncle Gussys can sell gear to their fans who can't visit the Food Truck often but want to be part of Uncle Gussys Brand Ambassadors. 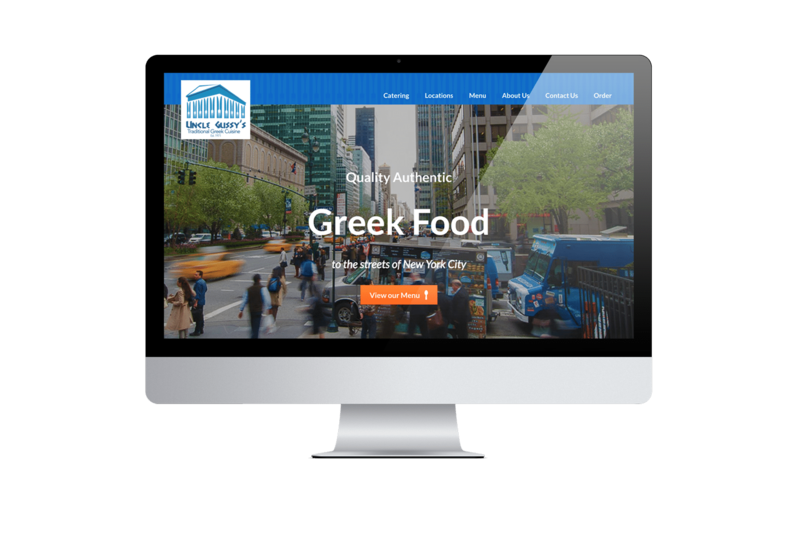 One of our biggest wins in positioning Uncle Gussys to be one of the best food truck websites and rank well for SEO. Is being able to bring organic traffic by positioning Uncle Gussy's on search engines on Google. We look at SEO from many diverse standpoints and apply it by measuring results. Positioning Uncle Gussy's in such a competitive city like New York has surely won our trust from them. It also has brought us some lessons which we constantly use to work with our Organic and Paid Traffic Increase strategies. Overall we are proud of the latest version of Uncle Gussy's website.